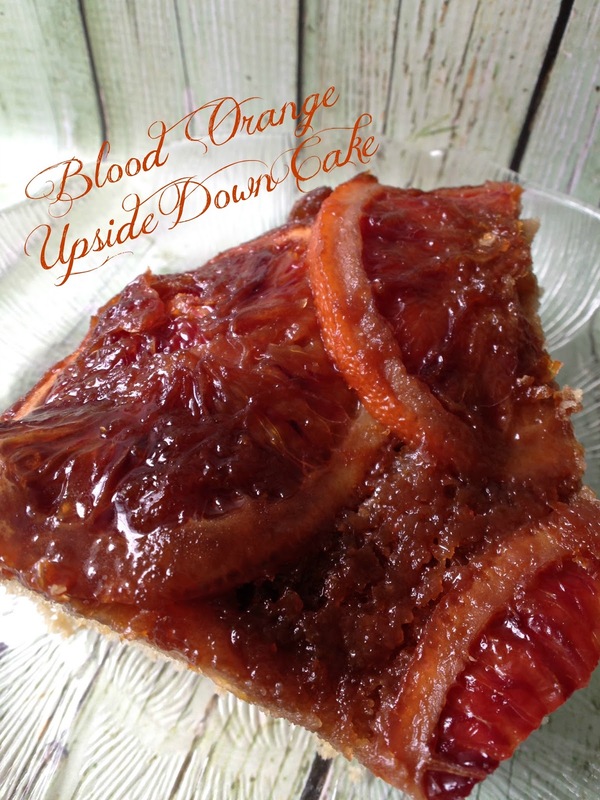 BLOOD ORANGES…Get them before they’re Gone! Well, I marched right over to the big cardboard bin and I picked up two, 5 lb bags of blood oranges….before they were all gone…I also picked up five, 16 oz bags of cranberries, for $.99 a bag…before they too were gone. 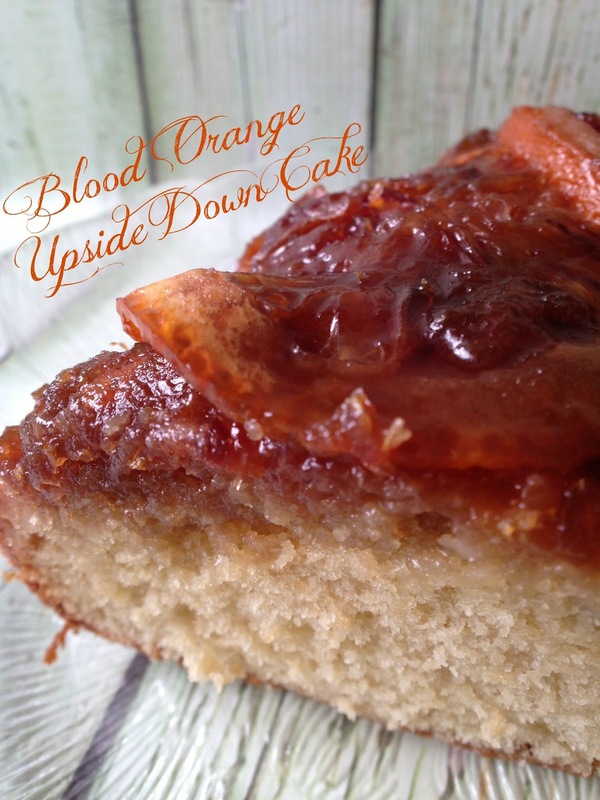 “I’m going to make a Blood Orange Upside Down Cake,” I said out loud to myself. 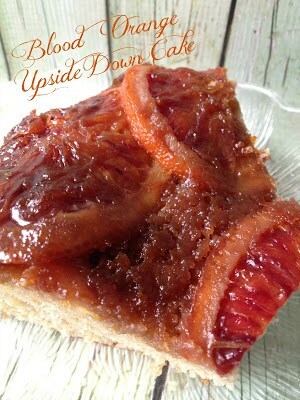 I am so glad I decided to make this delicious Blood Orange Upside Down Cake. This cake is light and fluffy, the oranges were nice and sweet and the dark brown sugar/butter topping had a nice caramel, buttery taste. I was super surprised at how tender and sweet the blood orange rind became. It was very similar to ‘candied’ orange rind sweet, tender and bursting with a refreshing, citrus flavor. 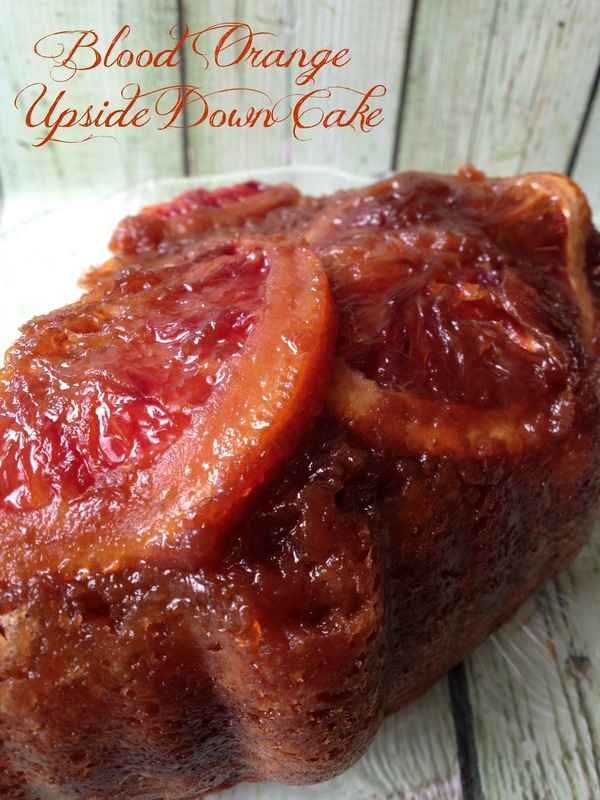 Blood Orange Upside Down Cake is perfect on a blistery, cold, winters day. 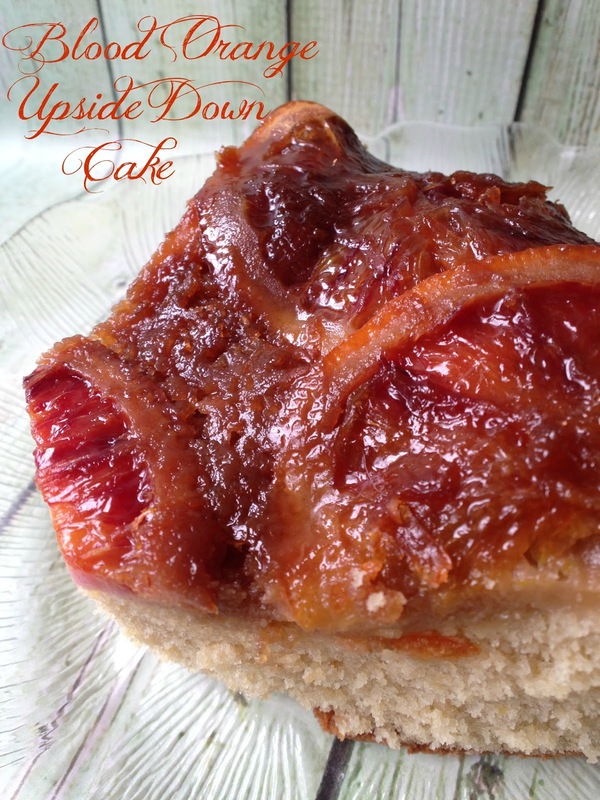 Really any upside down cake is perfect on a blistery, cold winters day! I was going to make a ‘from scratch cake’ but many of the recipes I looked at called for cornmeal, which I didn’t have, some of the recipes called for buttermilk, didn’t have any of that either and a few of the recipes called for sour cream or yogurt, it was a ‘no’ to both. What I did have was a box of cake mix. I went with the boxed cake mix. Preheat oven to 350º F. for metal and glass pan(s) 325º F. for dark or coated pan(s). Making topping: Melt 1/4 cup butter in a 10-inch x 2-inch deep round baking pan. Remove pan from oven, sprinkle dark brown sugar over butter. 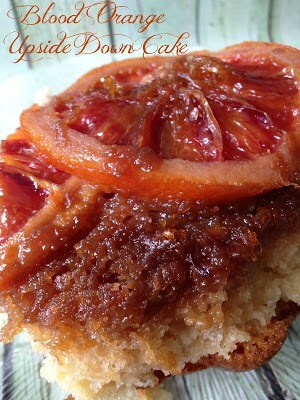 Drizzle 2 tablespoons blood orange juice over brown sugar/ butter mixture. 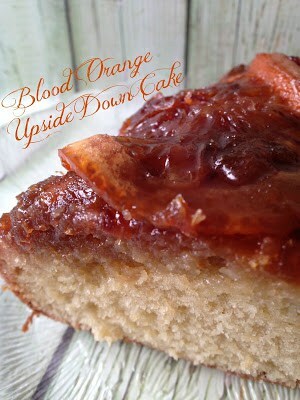 Lay blood orange slice on top of brown sugar/butter/ juice mixture. Sprinkle 1 teaspoon blood orange zest over blood orange slices, set aside. Make cake: blend cake mix, blood orange juice, softened butter and eggs in a large bowl at low speed until moistened, about 30 seconds. Beat at medium for 4 minutes. Stir in 1 teaspoon orange zest. Carefully pour the batter into prepared pan, over the orange slices. Evenly spread the batter over the top. Remove from oven and let the cake rest for 5 minutes in the pan. Run a knife around the edges. Invert onto a cooling rack and tap lightly to release cake. Your Blood Orange Upside Down Cake is so pretty, I can't wait to try it! Hope you are having a great weekend and thanks so much for sharing with us at Full Plate Thursday!